WINSTON-SALEM, N.C.–(BUSINESS WIRE)–Business advisors. Analysts. Critical thinkers. You won’t find the old-fashioned idea of an accountant at Wake Forest University’s School of Business and its Master of Science in Accountancy (MSA) program. Instead, you’ll find professionals who can not only balance the books but also confidently use business analytics to help advise and guide an organization. The School’s curriculum now provides all graduate accounting students leading-edge analytics instruction and real-world applications. While some business schools have begun partnering or consulting with accounting firms to offer an analytics track to a handful of curated students, Wake Forest has integrated analytics into its core accounting curriculum. 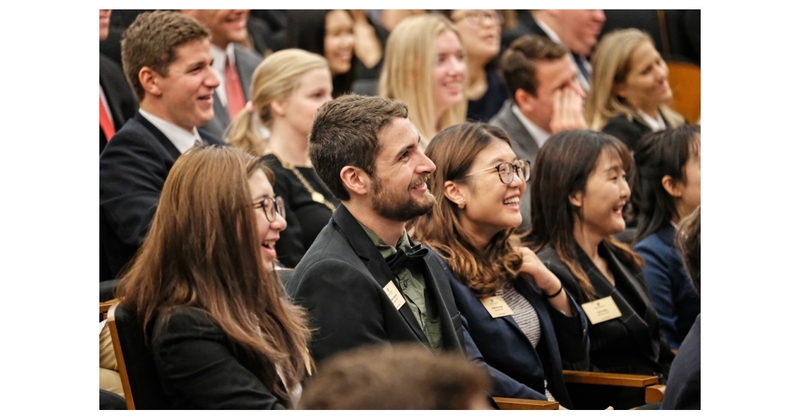 No matter which track Wake Forest students choose – assurance, tax, or the unique financial transaction services – they’ll gain a mastery of business analytics for their career. Aleman joined Wake Forest as a professor of practice in accounting analytics in July. He brings practical, hands-on expertise in analytics and forensic technology to the classroom. Aleman spent 36 years handling large and complex data projects with the Big Four; 21 of those years serving as a partner in advisory consulting services. He was formerly Deloitte’s U.S. National and Global Leader of Analytics and Forensic Technology Services. The third course concentrates on data visualization with an emphasis on not only mastering tech tools like Tableau and Alteryx, but the science of visuals, and the ethics of visualization. The Wake Forest University School of Business offers undergraduate programs in finance, accounting, mathematical business, and business and enterprise management, and graduate programs including a Master of Science in Management, Master of Science in Business Analytics, Master of Science in Accountancy and Master of Business Administration. Our programs are consistently ranked among the world’s best in surveys by U.S. News & World Report, the Economist, Forbes, and the Financial Times.